Analysis of evidence found during an archaeological survey at Lindores Abbey has potentially revealed the earliest site of distillation in Scotland yet discovered. Up until now, evidence uncovered at the medieval site in Fife pointed to some form of ‘medieval activity’ such as brewing, smithing or distilling taking place. Now subsequent research has led archaeologists to believe distillation could have taken place on the site in the 16th century, or earlier. An extensive archaeological survey by Rebecca Shaw Archaeological Services (RSAS), which was prompted by the building of Lindores Abbey distillery, revealed two pits which shared characteristic features with kiln bases, as well as evidence of large flues running from the pits. All of the remains date from the medieval period and were in use, in situ, prior to the Abbey being sacked in 1559. When RSAS’s initial report was delivered in 2016, Douglas Spiers, Fife County archaeologist was cautious in his interpretation of the discovery, saying that, ‘the archaeological features and environmental deposits uncovered at Lindores are commensurate with light industrial activity and indicate burning, heating, drains and water management. ‘Such remains are associated with a whole host of medieval activities and in the context of an outer monastic precinct (where the remains were found), they could indicate distilling, but equally a brewhouse, baking, smithing, washing, or a whole host of cooking and raw material processing activities are equally likely. Now, subsequent research into the ‘flots’ (plant material) discovered in the potential still pits has shifted the thinking further forward. Early distillation: Could these round brick remains at Lindores Abbey be ancient still pits? The flots revealed ‘firm and abundant’ evidence of charcoal, indicative of the use of fire, as well as multiple grains (oats, barley and wheat), and pieces of pottery. The discovery and analysis of the flots is a significant breakthrough as it supports the theory that a medieval brewhouse, or stillhouse, could have stood on the site. He added that there was still no absolute proof that other uses could not be ruled out. Drew Mackenzie Smith, managing director at Lindores Abbey distillery, has confirmed that it will invest in further excavation in order to understand the site’s layout. Uncovering more of the site would allow a mapping of the possible layout of the ‘light industrial’ section of the Abbey. There are several archaeologists interested in the site, all pursuing slightly different lines of enquiry. The distillery is also investing in better covers to protect the pits over winter. Darroch Bratt, a PhD student at the University of the Highlands and Islands, is studying the historical archaeology of whisky distilling. As well as working on the recent Dunyvaig dig on Islay, he has examined the Lindores site. Although ‘thrilled’ by the findings, like Spiers he urged people not to jump to conclusions. ‘If the features at Lindores were for distilling aqua vitae that would be very exciting,’ he said. ‘The difficult thing is we don't really know what this sort of feature should look like, particularly on this type of site, and this period in time. This makes identifying something positively very difficult and the archaeologists working at Lindores have been rightly cautious. ‘With more excavation of known distilling sites we may build up a picture of what the process of distilling should look like in the archaeological record. That would really help interpret sites like Lindores in the future. The abbey has long been claimed as being where, in 1494, Brother John Cor received the first recorded delivery of malt to make spirit in Scotland and though his place of domicile has not been confirmed, Spiers pointed out that monastic distilling had been taken place in Britain since the 13th century. This makes the theory that the Tironesian monks at Lindores were distilling a real possibility. Spiers said: ‘Do we have archaeological evidence for medieval spirit distillation at Lindores? The best we could say is possibly. A centuries-old text reminds Dave Broom of the open-eyed joy that whisky once inspired. 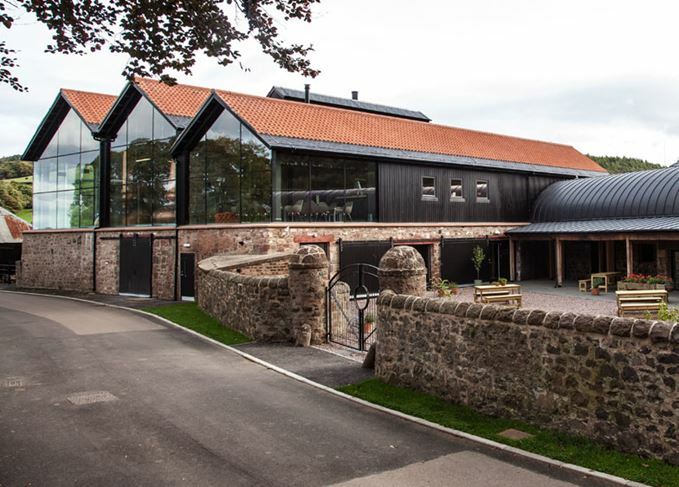 The Lowland distillery at Fife’s historic landmark is set to begin its first distillation. The winning entrant will receive membership to the distillery’s preservation society. Dave Broom argues why historical sites such as Lindores and Kennetpans must be preserved. The spirit release highlights the distillery’s unusual 500-year-old chess connection.